​SAN ANTONIO – San Antonio is known for its warmth and hospitality. It is a fun place to visit for the many conventioneers and tourists that are attracted to the city year after year. ​The San Antonio lodging industry has also maintained a strong and steady pattern. The city has kept the number of new hotel rooms to a minimum, adding only about 1,000 rooms over the past five years. This has enabled the San Antonio lodging market to maintain a stable 65 percent occupancy over the past three years. 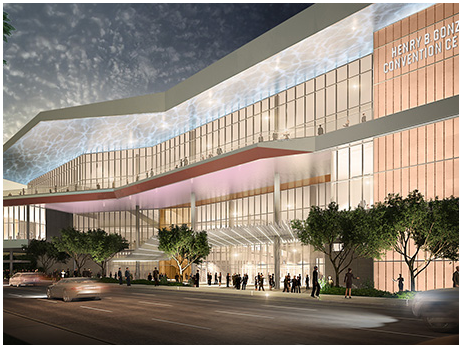 The biggest game changer is the renovation and expansion of the Henry B. Gonzalez Convention Center, located on the River Walk in downtown San Antonio. Completed in January 2016, the $325 million project re-designed the center to attract bigger and more lucrative meetings and rewired the facility for multi-gigabyte Internet speed. The expansion added 20 percent more exhibit space, increasing the total to 514,000 sf. Based on the growth of the market, it is forecasted that occupancies will dip slightly in 2016 and 2017 due to new supply being added to the market, as well as the slowdown in the oil industry.